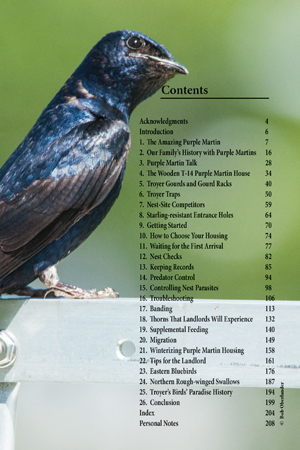 The Purple Martin Journey chronicles Andrew Troyers first 25 years as a Purple Martin Landlord. 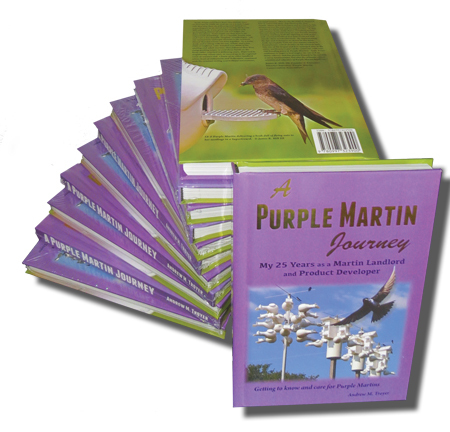 With Andy's flair for storytelling, you will be inspired as you read about his martin journey. 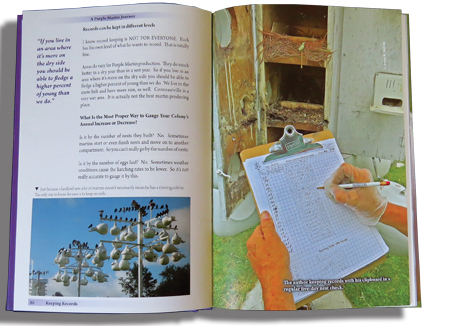 The 6" x 9" hardcover book is filled with over 260 color photos. Every martin landlord should add this fantastic book to your library.